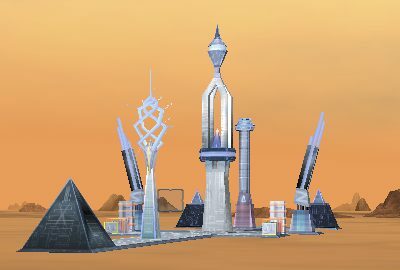 Protect the Mars Station from the alien attackers. There is a total of 30 missions. Flying is simple. Just make sure you've got enough speed to avoid stalling your aircraft and keep it flying comfortably, the rest is up to you and your flying skills. 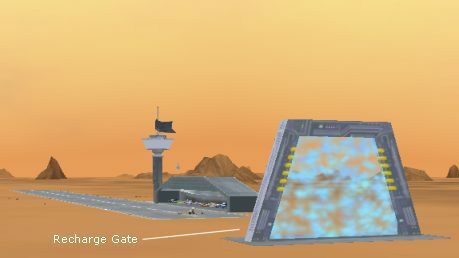 You have 10 aircrafts to use in your defense against the attackers to prevent them from damaging the mars station. 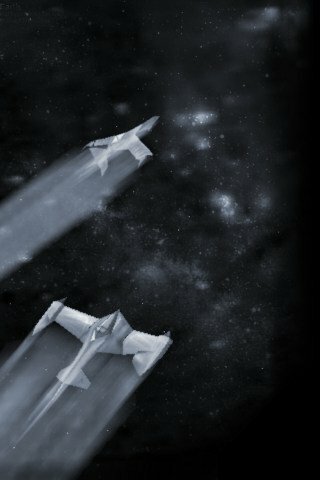 Each craft is unique in its flying ability, fire power, damage sustainability and speed. Each craft also possess a "special power" that is unique to it and that aids in its fight. 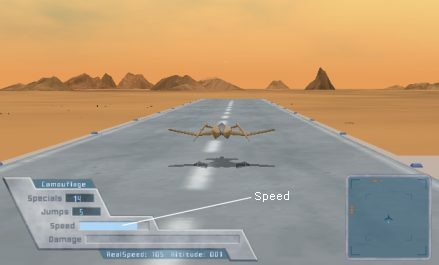 All crafts can also perform "momentary light speed jumps" however the number of jumps that can be preformed during flight varies from one craft to another. The craft's special power can be an evasive or a destructive one. When the craft Dragon Bird's special power is activated, it becomes a deadly dragon monster that jumps at the closest flying enemy to it, snatching and destroys it. This is a destructive special power. Whereas when the craft Camouflage's special power is started, the Camouflage camouflages and becomes unseen and undetectable by the enemies. This is an evasive special power. The number of special power performances varies from one craft to another. Some crafts have an unlimited number of specials, while others have only a limited amount of times in which you can utilize your special power. For the craft that have a limited number of specials, that supply is all that they will have throughout the entire game! Once those are used up you will not be able to recharge or replenish your supply, so use wisely! > The special power description of each craft is found in the "Select Craft" section of the game, please read to discover what each craft can do. All crafts can jump into light speed momentarily. This is an important feature that helps you craft avoid being hit extensively and aids in your escape from enemies. Once the jump is initiated the craft will fly from one spot to the other at miraculous speed. Perfecting the jump is crucial and you will find that you may need to use it frequently during your missions. The number of jumps available for each craft varies from one to the other, however the jumps can be recharged/refilled if depleted. The recharge gate fixes your crafts damage and resets it to zero again. It also replenishes your craft's supply of light speed jumps. However it does not recharge your amount of specials (as the number of special powers per craft is limited for the entire game). 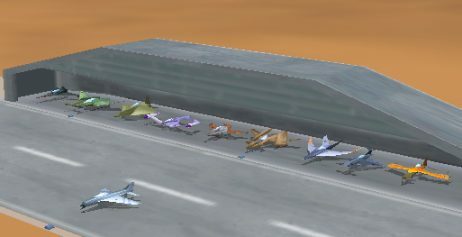 To change you craft during a mission land the craft and approach your craft's hanger. However you must take care to approach the hanger with caution or else you will crash into it. 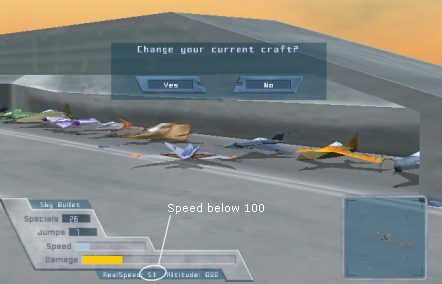 In order to approach hanger correctly and change your craft, your craft must be on the ground and the craft's speed must be below 100 or else it will crash. 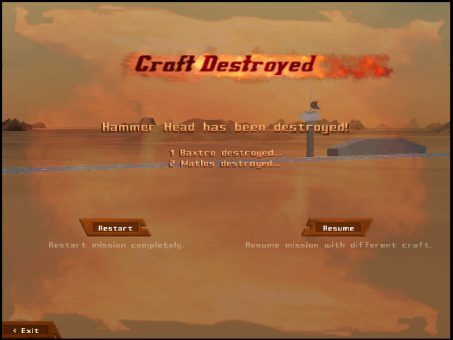 When you lose/crash a craft during a mission you will be faced with two options, either to restart the mission or resume it. 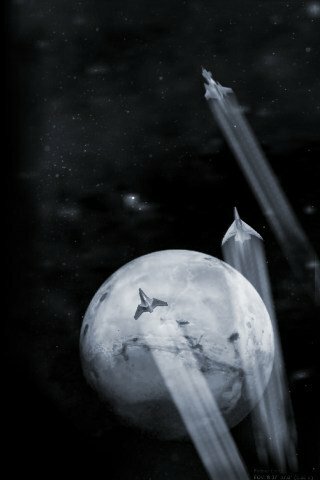 If you choose to restart, you will restart the mission as if nothing had happened. But if you choose to resume mission you will continue the mission from exactly when your craft had crashed with all the enemies you had destroyed still defeated but with a different craft. The craft that has crashed will be lost. So for example; if you had crashed but didn't manage to destroy many enemies beforehand, then it would be a good choice to restart the mission. However if you had crashed after destroying many enemies during the course of the mission then that craft would have not have been lost in vain and it would be a good choice to resume mission.